The Prime Minister said India and China must increase cooperation in the fight against terrorism and look for a common ground and a long-term road to tackle the menace. India on Saturday made it clear to China that they cannot afford to have differences on the issue of terrorism and that no country is immune from the menace, a significant statement that comes against the backdrop of Beijing’s stand on enforcing UN ban on JeM Chief Masood Azhar. 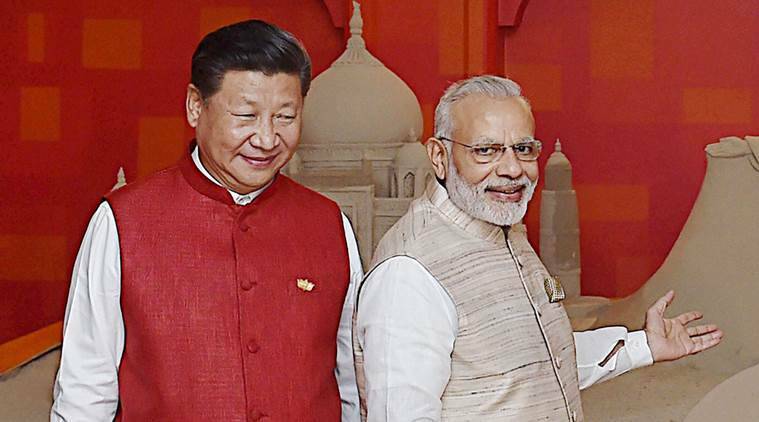 The Indian view was conveyed by Prime Minister Narendra Modi to Chinese President Xi Jinping during a bilateral meeting in Baunnaulium on the sidelines of the BRICS summit to be held on Sunday. “Both India and China are victims of terrorism and the region was suffering from the menace. The Prime Minister said no country is immune from terrorism and on this issue, we cannot afford to have any differences,” MEA Spokesperson Vikas Swarup told reporters after the meeting. He said India was in dialogue with China on enforcing a UN ban on Azhar, the brain behind the 26/11 and Pathankot attacks. “We expect China will see logic in it,” Swarup said. The Indian stand assumes significance against the backdrop of China continuing to block India’s move to get Azhar designated as a global terrorist. India has been upset with China when it put on technical hold New Delhi’s move to designate Azhar as a global terrorist by UN. Recently, China extended the hold by few months. Indian envoy to China Vijay Gokhale said both the Prime Minister and the President agreed that terrorism is a scourge for the region. The Prime Minister said India and China must increase cooperation in the fight against terrorism and look for a common ground and a long-term road to tackle the menace. President Xi said India and China must step up counter-terrorism efforts and strengthen security dialogue and partnership. It was announced that Yang Jiechi will meet his Indian counterpart NSA Ajit Doval soon. Asked whether China has been provided with any evidence in the pursuit of obtaining China’s support on the Azhar issue, Vikas replied no. Meanwhile, India and China will soon hold a dialogue on New Delhi’s bid for membership of the elite Nuclear Suppliers Group (NSG) in which it hopes “differences” will be narrowed down. President Xi Jinping told Prime Minister Narendra Modi that a second round of dialouge on the issue of India’s entry into the NSG, over which China has reservations, will be held soon.